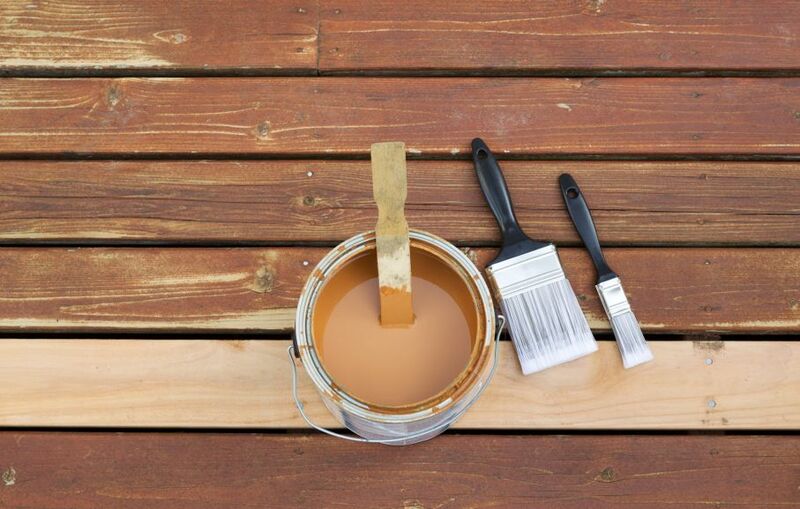 Staining a deck takes several steps, but you can take on these tasks as a fun and challenging DIY home improvement project with the help of this deck refinishing guide. 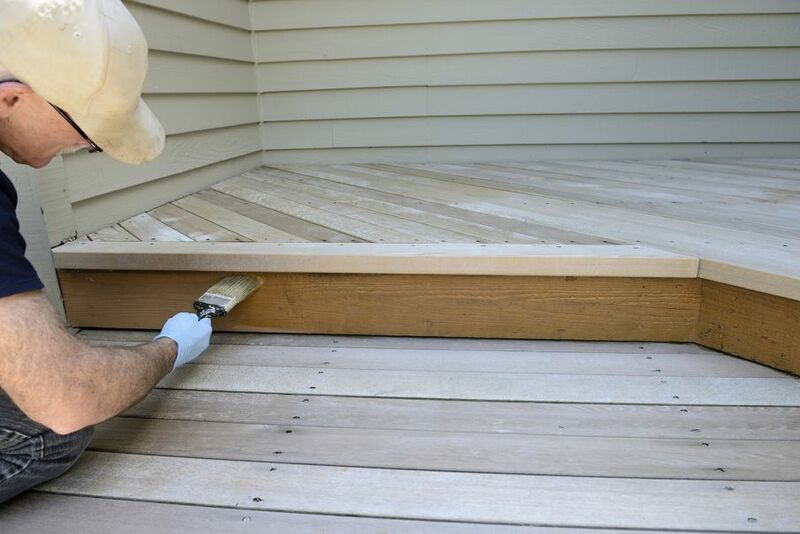 Your home’s exterior design largely depends on the quality of your deck, and that’s why it’s important for DIY homeowners to know how to stain a deck, especially if their deck looks old and worn. Staining a deck takes several steps, but you can take on these tasks as a fun and challenging DIY home improvement project with the help of this deck refinishing guide. Put away every item on your deck, including flower pots, chairs, tables, lighting, and any candles on your railings. 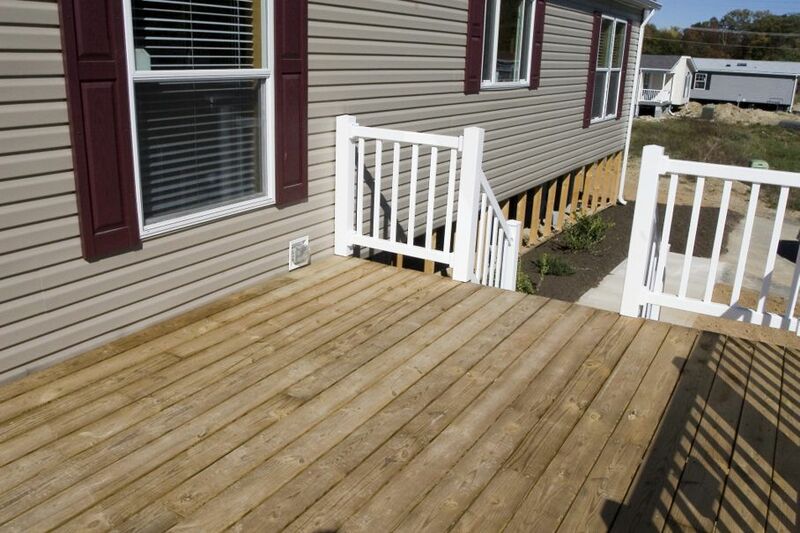 When sealing a deck, it must be completely cleared. You can use a mixture of water, bleach, and dishwasher detergent – or you can use a deck wash. Leave the solution on the deck for 15-20 minutes, and continue by brushing the vertical spindles and railing (with a stiff brush), so any debris or peeling wood falls down to the deck. 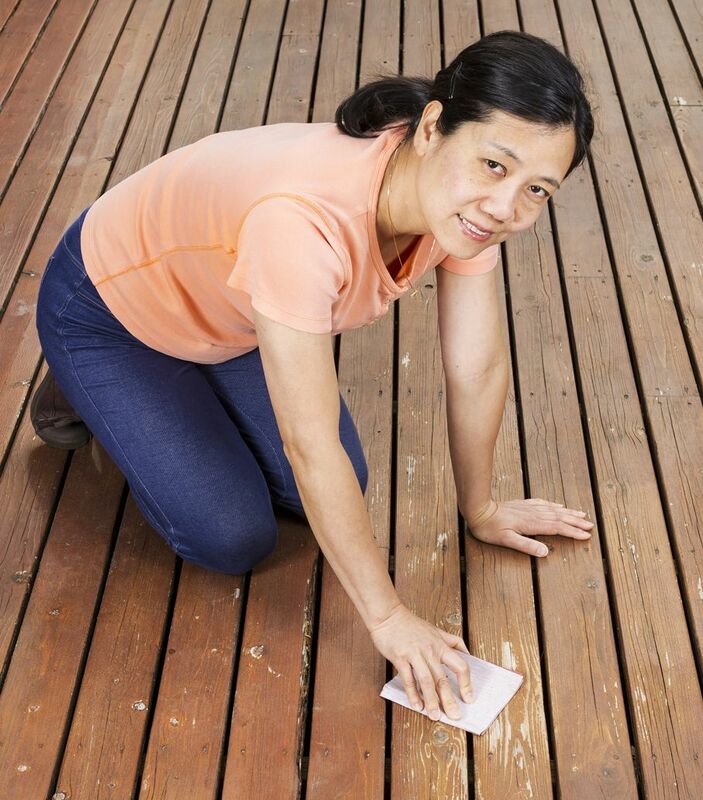 Once you’ve cleaned your spindles and railings, you can start scrubbing the deck floors. Spray your wooden deck clean of detergent with a garden hose. Don’t use a hose that’s too powerful since this can damage the fibers of the wood. After scrubbing, give a quick sweep just in case you left anything behind. After cleaning, wait at least 24 hours before staining your deck. You have a choice of clear, toner, semi-transparent, or solid stain. Deck stain colors come in a wide variety, from yellow, to green, and red, but these require two coats. Use carefully placed plastic and tape to protect the siding of your home. This is done by intermixing between containers to ensure that the stain is a uniform color. Stir the stain frequently before applying, as well as during the process. Start with the spaces in between the boards and the open-ended boards by applying the stain with a brush. Make sure that when applying stain to the applicator, you don’t put so much on that it’s dripping. Use the same small brush to seal your stairs, railings, and spindles. Stain the cracks in the wood first, and then begin by applying a thin coat to the planks. Put enough stain so it can penetrate in the wood, but also be sure the amount you apply is even throughout. Maintain a wet edge on the brush, and back-brush to remove excess staining. Allow your stain to settle for 24-48 hours before placing furniture on the surface. 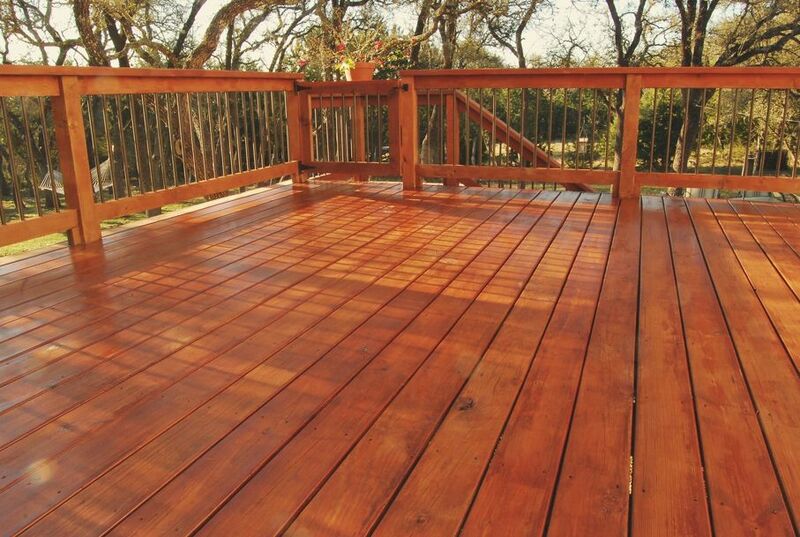 After you let it rest, you can start enjoying your freshly refinished deck! Treat the deck with a borate. This is meant to kill and prevent algae/wood-rot from forming on your deck produced from dirt and water. Apply after cleansing, and let the wood dry for two or three days before you begin the staining process. Check the weather before staining a wooden deck. Humidity will lengthen the process, and rain will ruin your hard work. 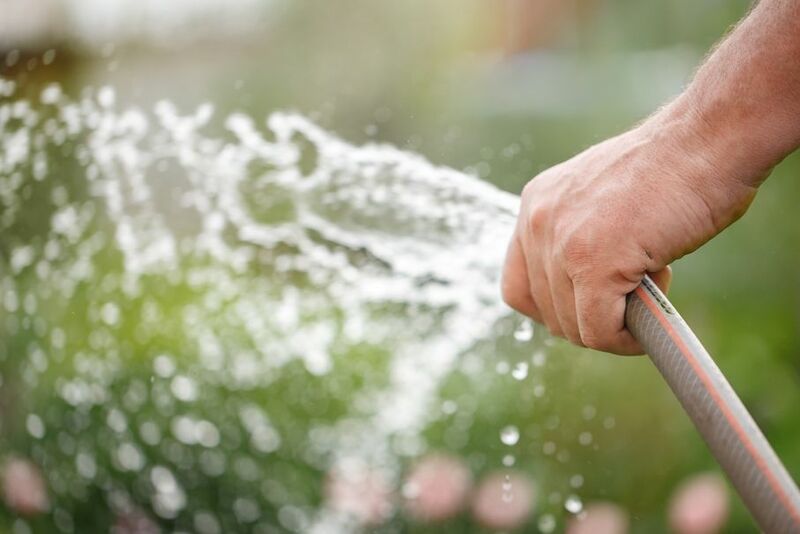 Protect the greenery under your deck by hosing down excess cleaner from grass/plants that has leaked from your deck. You can also use a biodegradable desk cleaner to protect the environment. 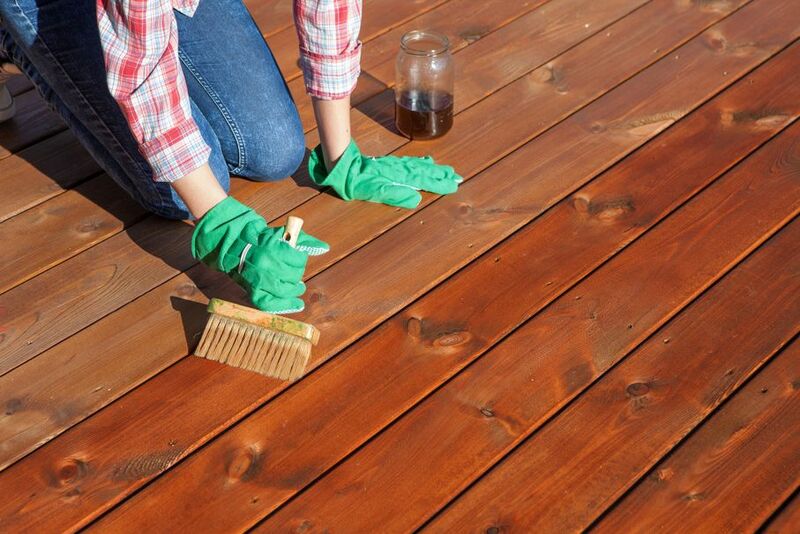 Replace any damaged wooden boards, if needed, before starting your DIY deck staining. Sand down previous stain from your boards if necessary. This is effective for chipped or uneven boards.